Researcher Mark Hubbard recently took this photo (above) of what appears to be a bigfoot. The picture was taken in Oregon and as you know Oregon is a hot bed for bigfoot sightings and trace evidence. 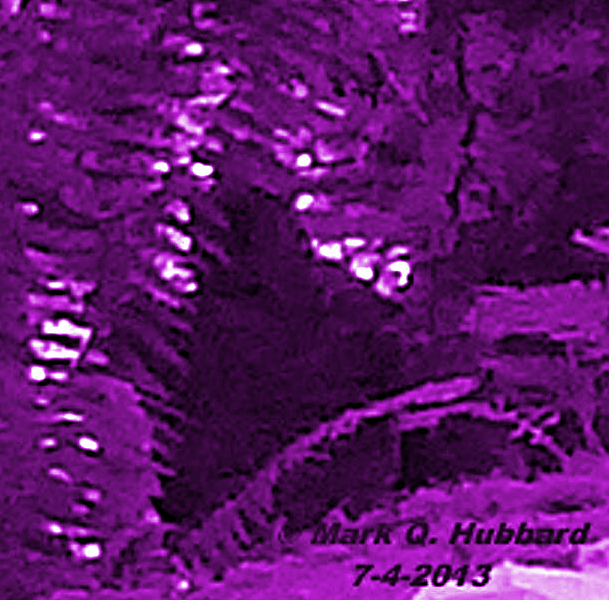 Mark has the photo tagged with the date 7-4-2013, so it is very recent. 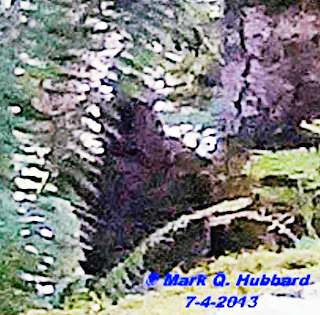 I messaged with Mark and he has allowed me to do some enhancement of the photo and post them here. So a big THANKS to Mark for letting me attempt to enhance the photo. Here are my enhancement efforts. 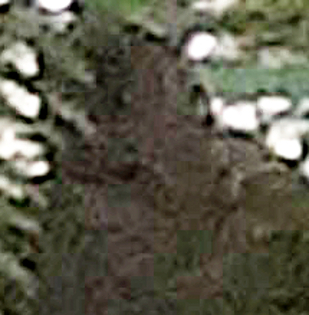 It sure looks like a bigfoot, what does everyone else think? Here is the report sent to us by Mark on how he took the photo. Length of Sighting: I never noticed it at the time. 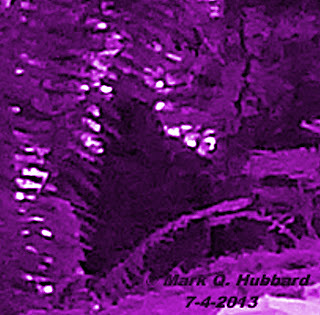 Describe sighting in detail: There's not much to say. I was on my way up to my regular research areas and for some reason I decided to pull off in this spot and take a few pictures. I have stopped here a few times but never really noticed anything unusual about it. I stopped and took a few pics and drove away. I didn't find the subject in this pic until Monday morning July 8th. I was rather surprised to say the least ! 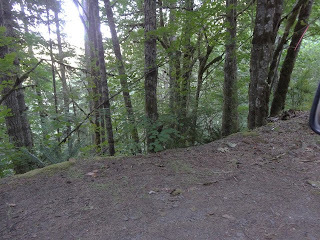 I have talked to Mark and how gotten his permission to post the after photo of the same area. The angle is a little bit different. 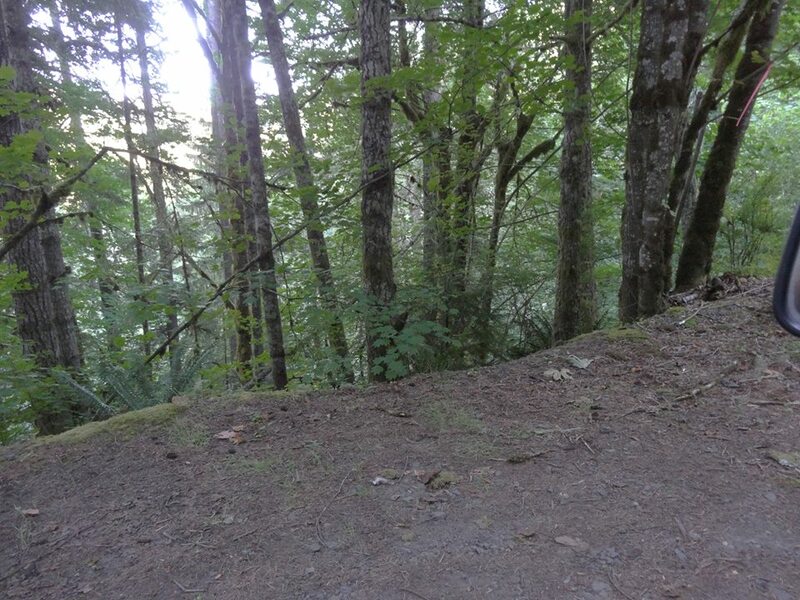 I also notice what appears to be a tree break on the left just above mid way up the photo. You would need to contact Mark Hubbard. I do not have it. it looks pretty real to me. i think you should do a negative enhancment of the the 3rd. 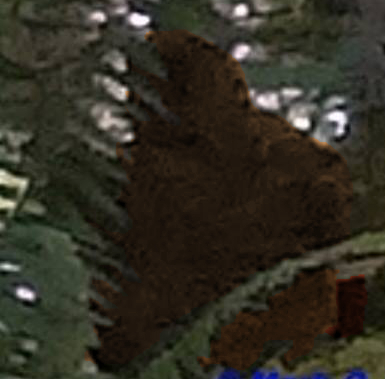 photo you already enhanced. i think you'll see a lot more of the face. also, i think that the bigfoot in this photo looks exactly like the close up of the male bigfoot that Todd Standing took. i know everyone thinks that Todd is a hoaxer, but i've spoke with Todd through emails and i think his stuff is legit. LOOKS LOKE IT MIGHT HAVE A BABY ON ITS LEFT FRONT SIDE? I see that too. 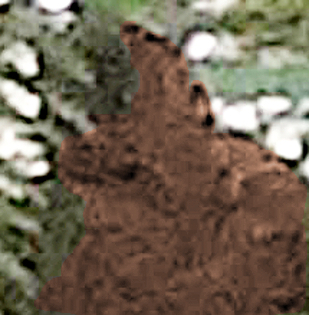 It looks like a large female Sasquatch carrying an infant Sasquatch. Good find. 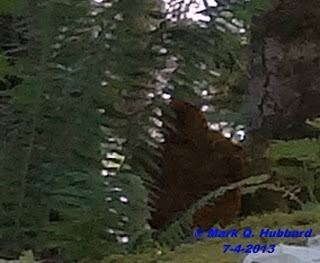 It doesn't look like any of the bigfoots I've seen around the Molalla area. 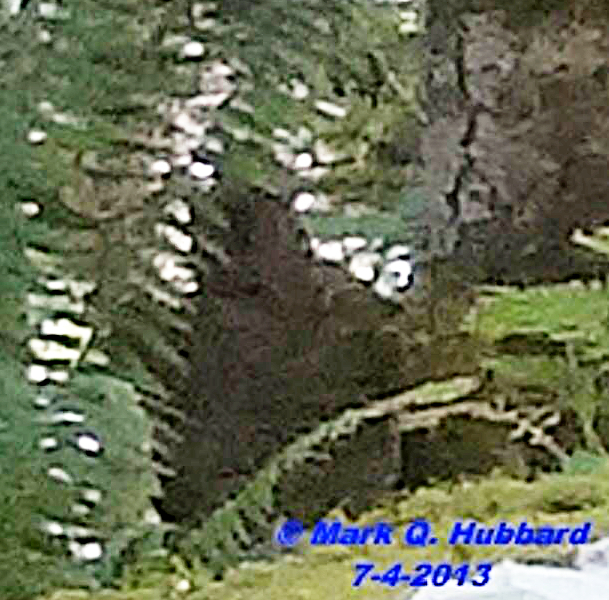 I have routinely seen stumps from a distance look like faces and people. 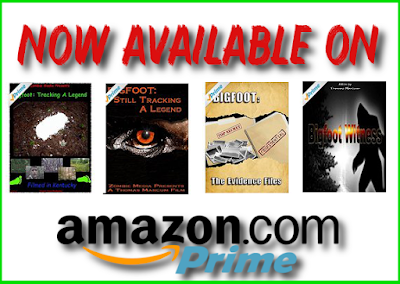 The fact he did not notice it until looking through the pictures he was taking further supports stump rather than bigfoot.